Engraving from 1873 featuring Joshua Reynolds. 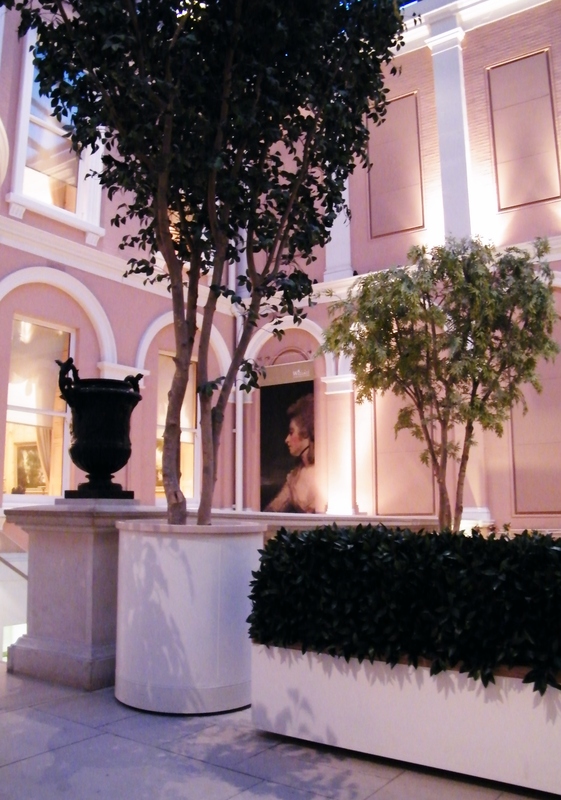 It was a pleasure to receive an invitation to an exclusive Bloggers event at the Wallace Collection, London last Friday. 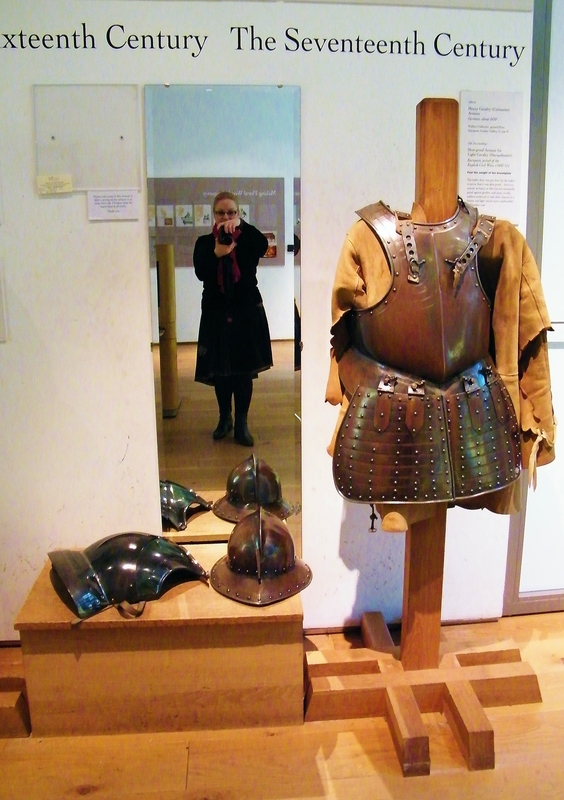 This is the first event of its type organised by the museum and it was a great success. 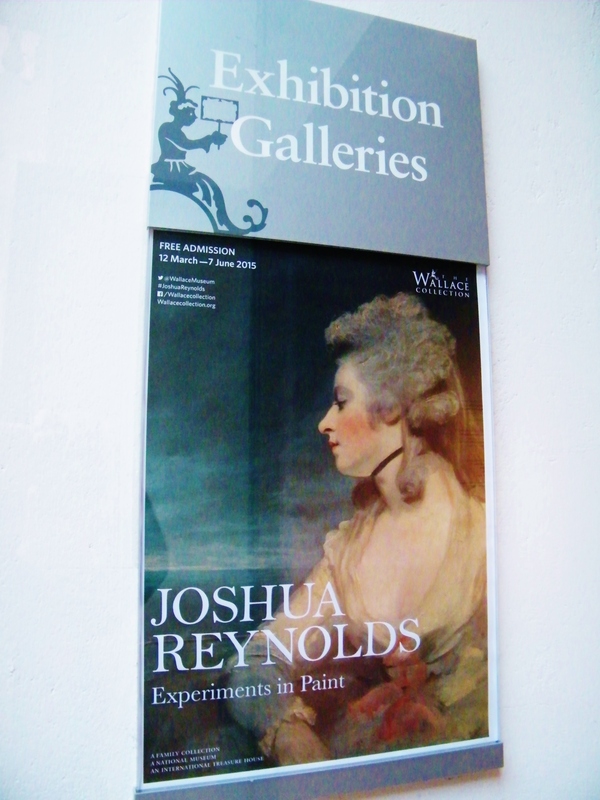 The occasion marked the opening of their new exhibition, ‘Joshua Reynolds: Experiments in Paint’, a free exhibition that continues until 7th June 2015. 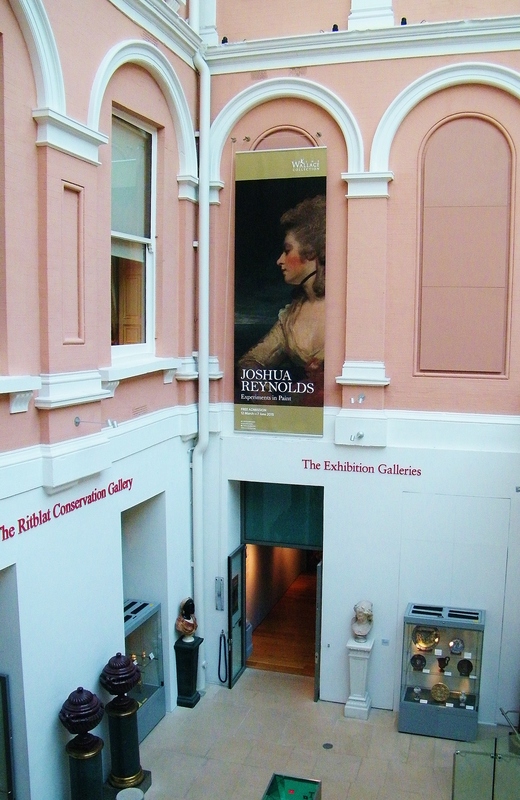 The exhibition explores Joshua Reynolds’s (1723-1792) painting techniques, pictorial compositions and narratives through the display of twenty paintings, archival sources and x-ray images. 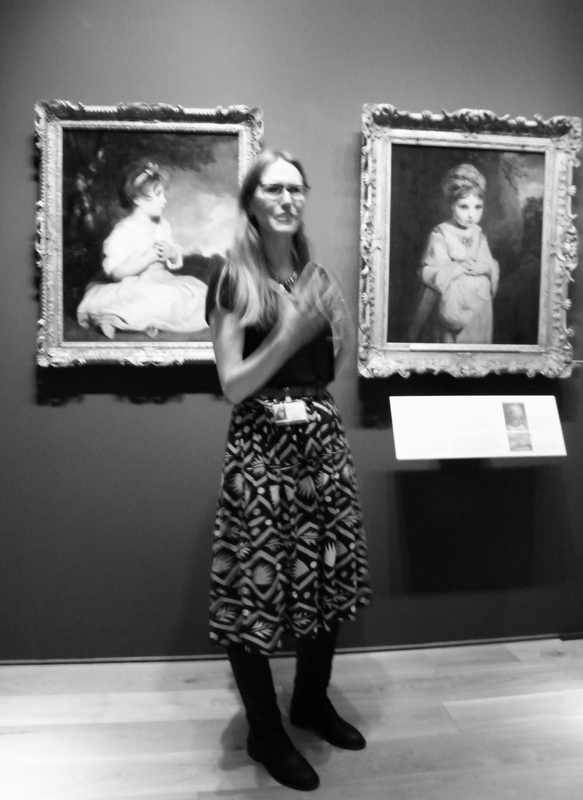 Paintings Conservator for The Wallace Collection Reynolds Research Project, Alexandra Gent, gave us a comprehensive and fascinating insight into some of the surprise discoveries encountered whilst working on the collection’s Reynolds paintings over the last four years. 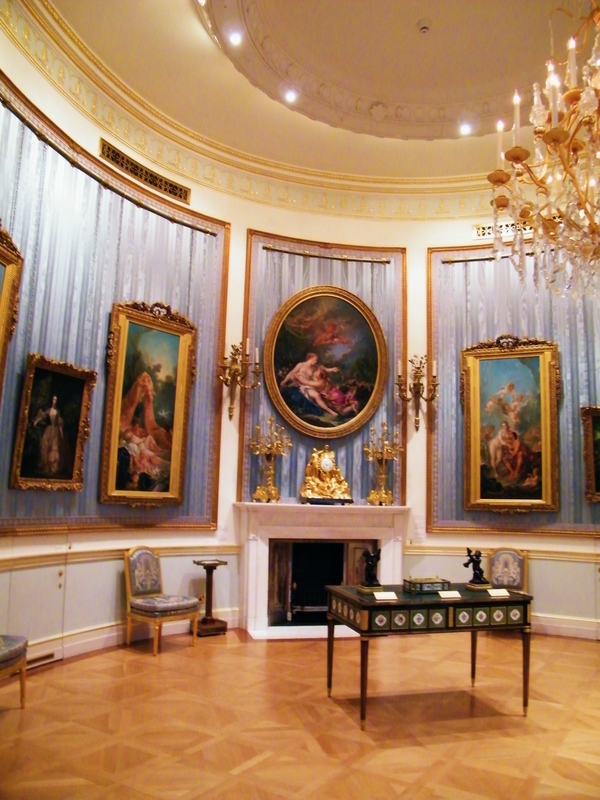 There are twenty paintings on display in the exhibition, twelve of which are from The Wallace Collection, others are on loan from collections elsewhere in the UK, Europe and the USA. With support from the Paul Mellon Centre for Studies in British Art, TEFAF, the Hertford House Trust, various private donors, and Trusts and drawing on the research expertise of the National Gallery in London and the Yale Center for British Art in New Haven, the exhibition spans most of Reynolds’s career and includes portraits, ‘fancy’ pictures (young children in a variety of guises) and history painting. 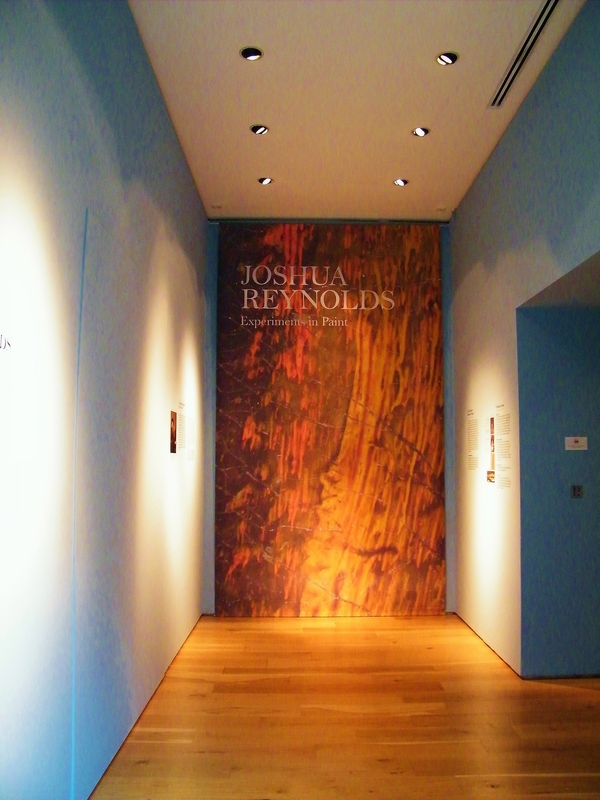 One of the things about Reynolds, and the reason it was started as a research project, is that his painting technique is quite notorious amongst conservators as being tricky to deal with….So to have a really good understanding of the way the paintings had been made and constructed and what materials had been used was really important to make informed decisions about which paintings to treat. The paintings as a group hadn’t been restored for a very long time, a few of them had had minor treatments but none of them had really been cleaned since they’d entered the Wallace Collection in the mid-19th century. 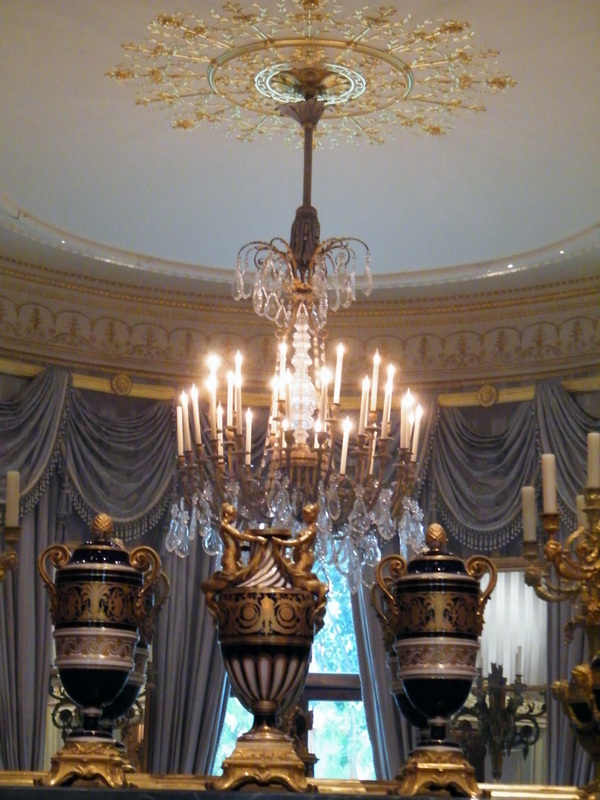 Although Reynolds is notorious for using wax, we only found wax in small amounts on paintings. The Portrait of Miss Jane Bowles appears to have a varnish layer on it that is made from wax, and we think that this is original and really interesting to see Reynolds use as a varnish layer. 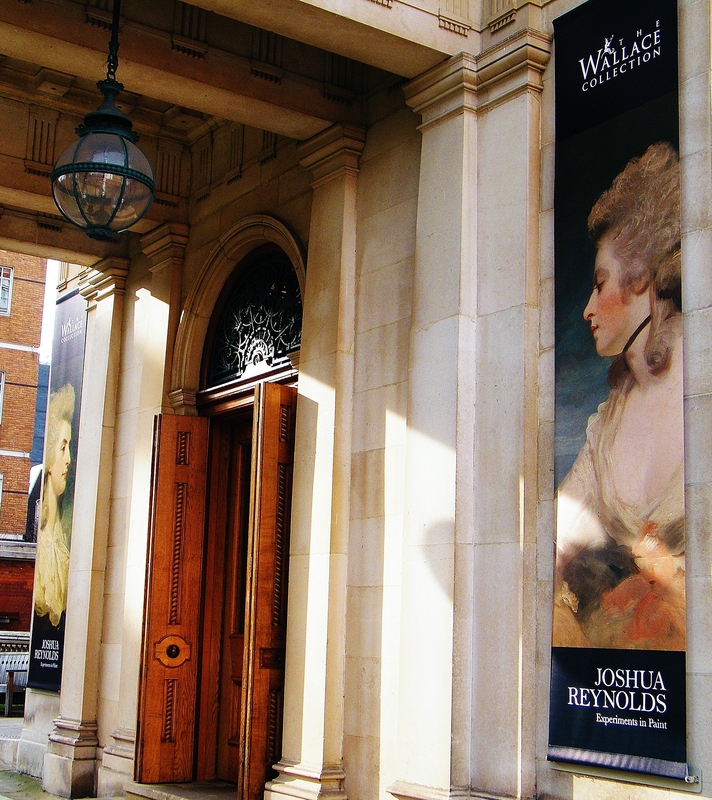 It’s been a real privilege to work on these paintings, they’re a really wonderful group of paintings by Reynolds. Reynolds often produced multiple versions of his paintings, worked over a length of time, sometimes four years. It was not unusual for him to work on two similar pictures side-by-side. He also encouraged his subjects to perform roles that would reveal an aspect of their personality, actresses he depicted in character such as Mrs Abington as Miss Prue, (c.1771-1772). Mrs Frances Abington (1737-1815) with her coquettish gaze as Miss Prue, the silly, awkward country girl from William Congreve’s (1670-1729) comedy Love For Love (1695). 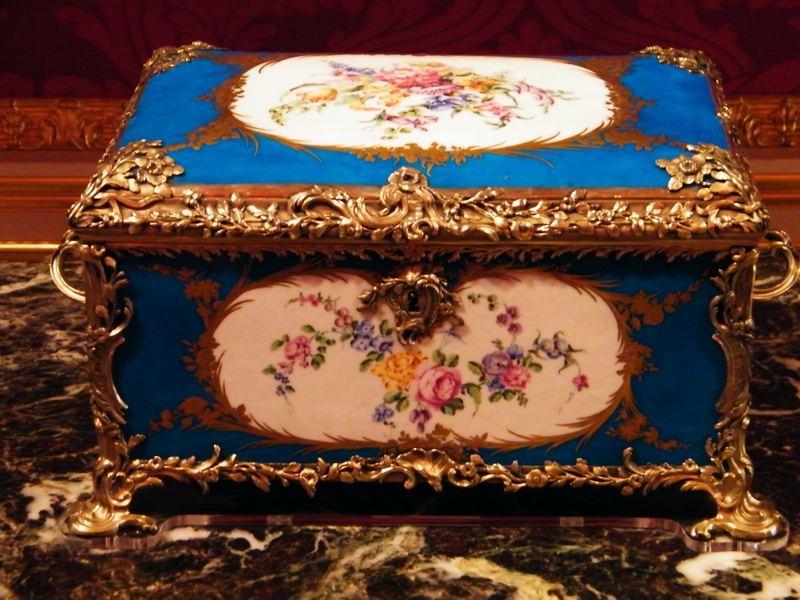 X-ray image: X-rays can penetrate through most parts of a painting but denser materials, such as lead containing pigments and iron tacks, obstruct them. An X-ray image records the areas where the X-rays have been obstructed and these areas appear lighter. These images are useful for revealing paint losses and changes to a painting. However, they can be difficult to interpret because they show all the layers of the painting superimposed. Infrared reflectography: an imaging method used to ‘see through’ paint layers that are opaque to the human eye. Infrared light is electromagnetic radiation with longer wavelengths than those of visible light. Infrared radiation passes through the paint until it either reaches something that absorbs it or is reflected back to the camera. An infrared image can often reveal under-drawing. Curation of ‘Experiments in Paint’ is excellent. Reynolds’s portraits are accompanied with detailed background to both painting and sitter. 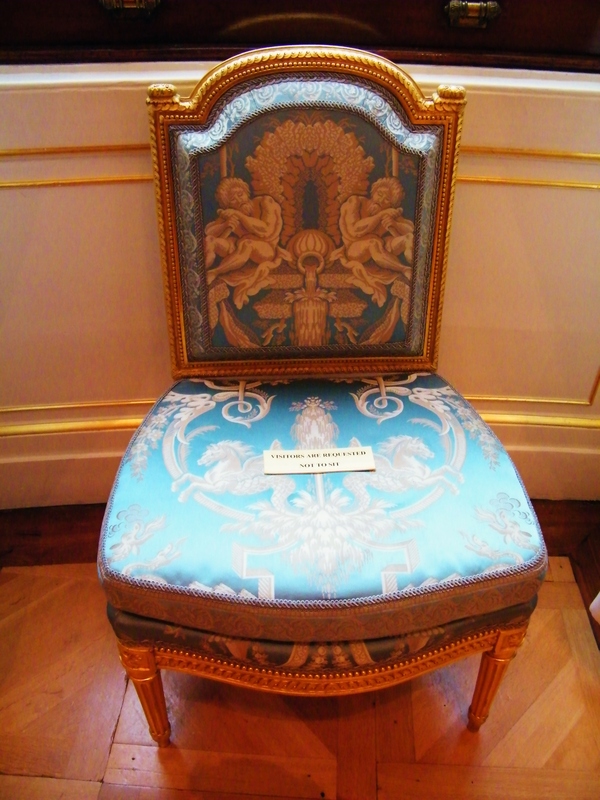 Those works on display that have been subjected to detailed conservation analysis are of particular interest. For example, an X-ray of Reynolds’s slightly unnerving, The Strawberry Girl (1772-1773), revealed that it resembled the version of The Strawberry Girl reproduced in Thomas Watson’s 1774 mezzotint. Reynolds had reworked the figure, lowering the shoulders, painting a fringe of brown hair and developing a more oriental style of turban. 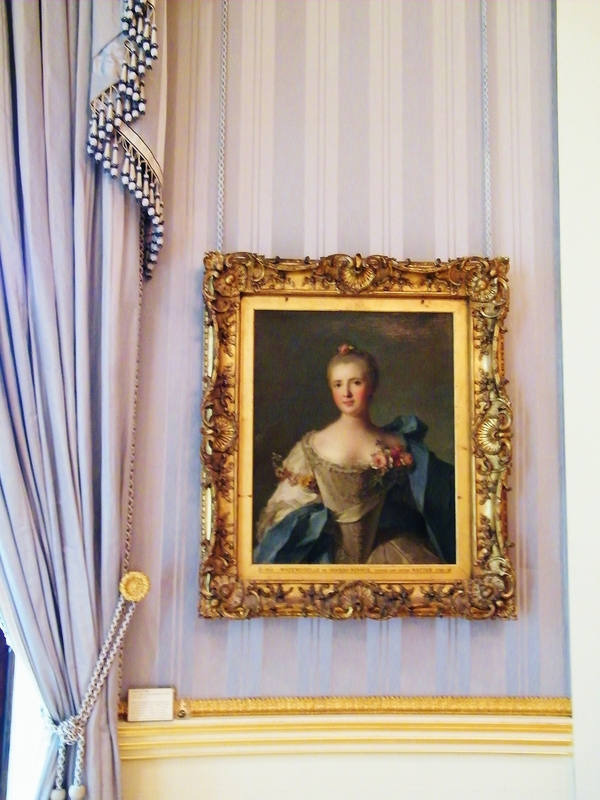 Infrared reflectography of the Wallace Collection’s version of The Strawberry Girl also revealed under-drawing around the hands and in the folds of the drapery. The use of such under-drawing may indicate that the composition of this painting was transferred from an earlier version of The Strawberry Girl. An X-ray of Mrs Abington as Miss Prue showed that Reynolds had originally intended her to wear a simple bonnet that would have been more in keeping with her role as Congreve’s Miss Prue. Instead the final painting showed her sporting an updo hairstyle fashionable at the time. 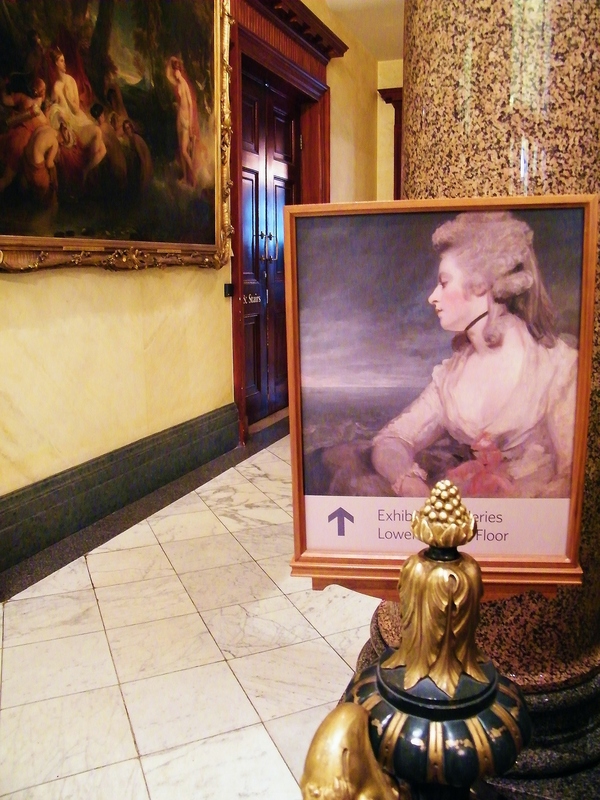 An X-ray of Lady Elizabeth Seymour-Conway (1754-1825) painted in 1781, revealed that Reynolds updated the sitter’s hairstyle just before the painting left the studio making it look much fuller, as was popular at the time of the work’s completion. The original hairstyle had been smoother and the curls at the neck are higher, similar to those adopted by the fashionable Waldegrave sisters painted by Reynolds between 1780 and 1781. According to Alexandra Gent, Reynolds used five different sizes of canvas available to the Georgian painter: head; three-quarter length; half-length; full length and Bishop’s half-length (large enough to fit in his mitre!). A popular pose for Georgian sitters was ‘penseroso’, resting with chin in the hand, signalling to the viewer that the subject was refined and contemplative. 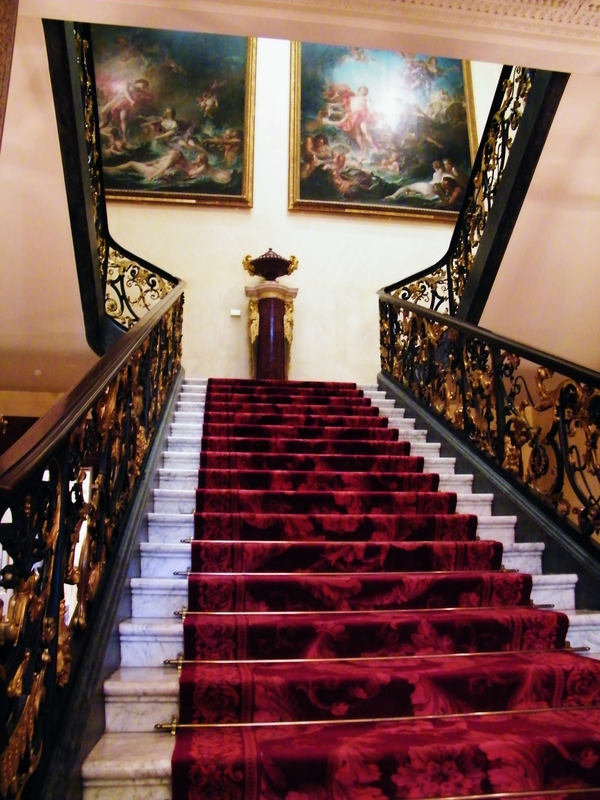 Fashion Designer, Vivienne Westwood, explaining why she is inspired by The Wallace Collection. Uploaded to You Tube 1.10.2009. 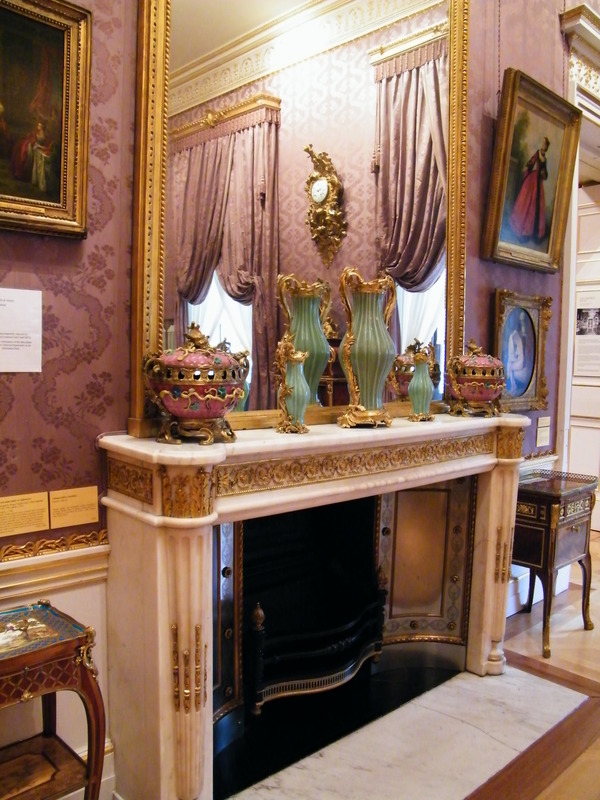 I first discovered The Wallace Collection, by chance, in 2005 whilst working in Portman Square as a corporate researcher. In order to escape the caged existence of my office and reawaken my senses, I regularly took long walks, exploring the surrounding area. There is so much to see, all just a stone’s throw from the craziness of Oxford Street. Attractive squares and stunning architecture as well as more blue plaques than you can shake a stick at! 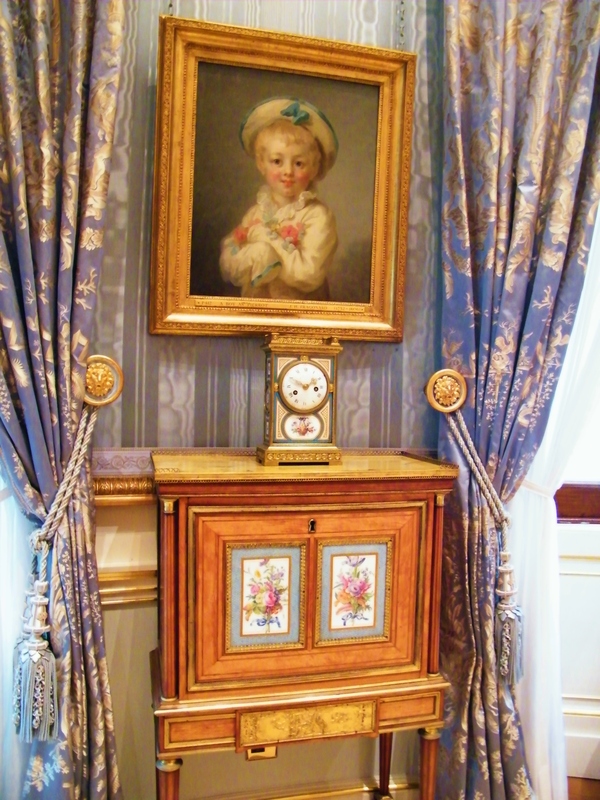 When I visited the Wallace Collection for the first time, I remember being completely awestruck by the magnificent interior and extensive collection of French eighteenth century painting, furniture and porcelain. The good news is that in the last ten years admission charges have remained the same, absolutely FREE. 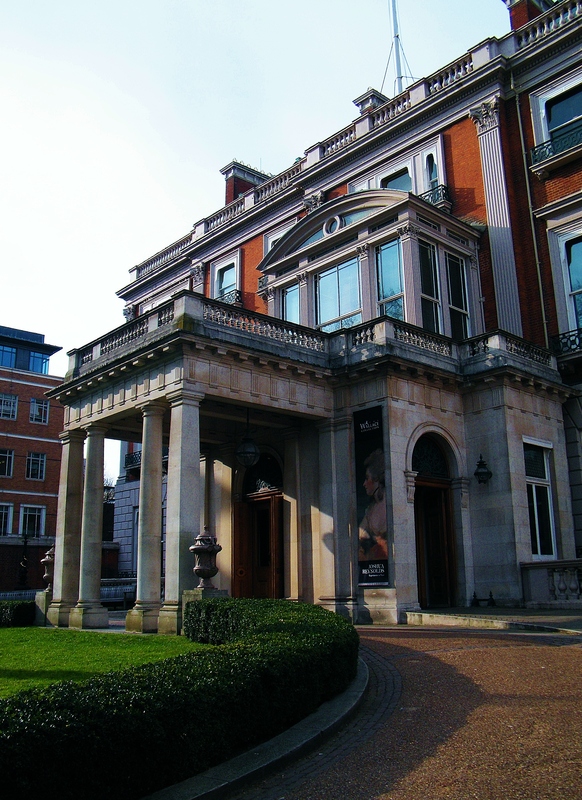 The Wallace Collection is housed in Manchester House, a fine example of Georgian architecture built between 1776 and 1788 for the 4th Duke of Manchester (1737-1788). The original shell of the building was built by Samuel Adams in 1771. It wasn’t until the 4th Duke brought the leasehold in 1788 that substantial structural alterations were made by the architect Joshua Brown. 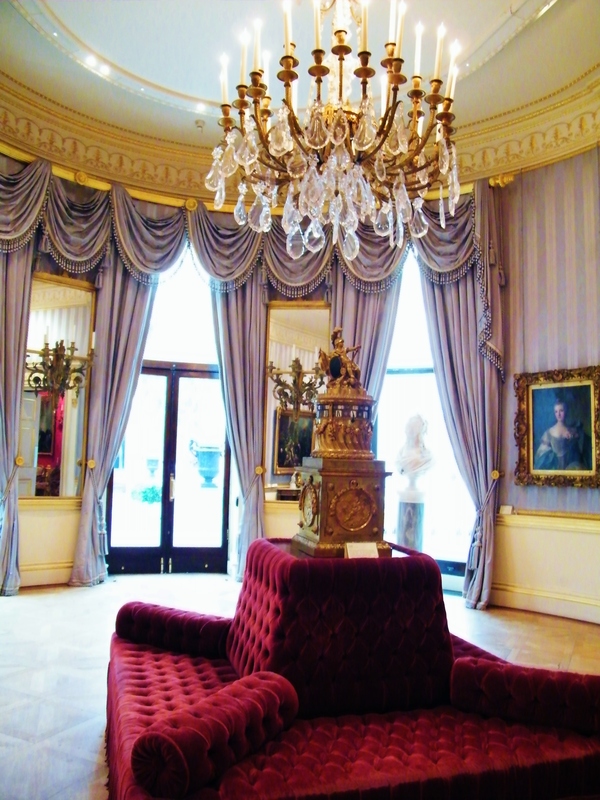 The Wallace Collection is one of the most significant collections of European fine and decorative arts in the world and the greatest bequest of art ever left to the British Nation. 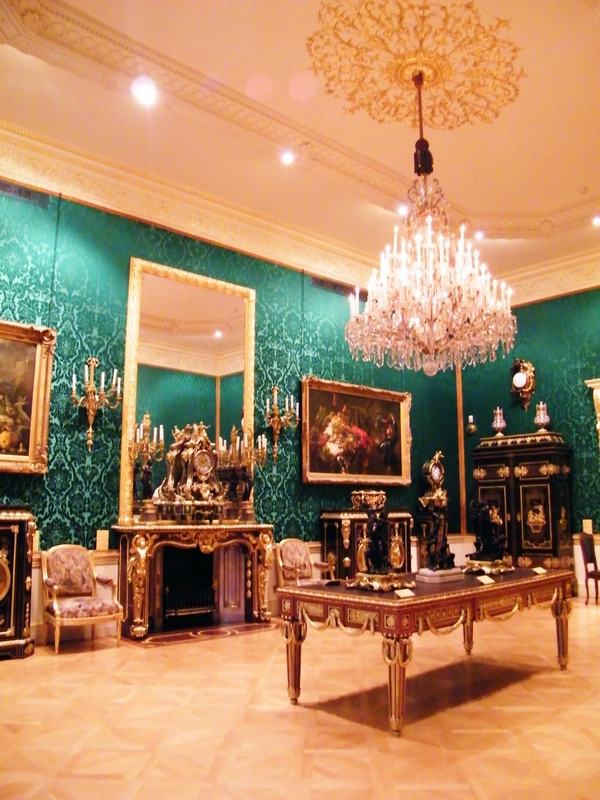 The collection encompasses old master oil paintings from the fourteenth to the late nineteenth century including works by Titian, Velazquez, Rubens and Van Dyck, princely arms and armour, and one of the finest collections of French eighteenth century art in all media. 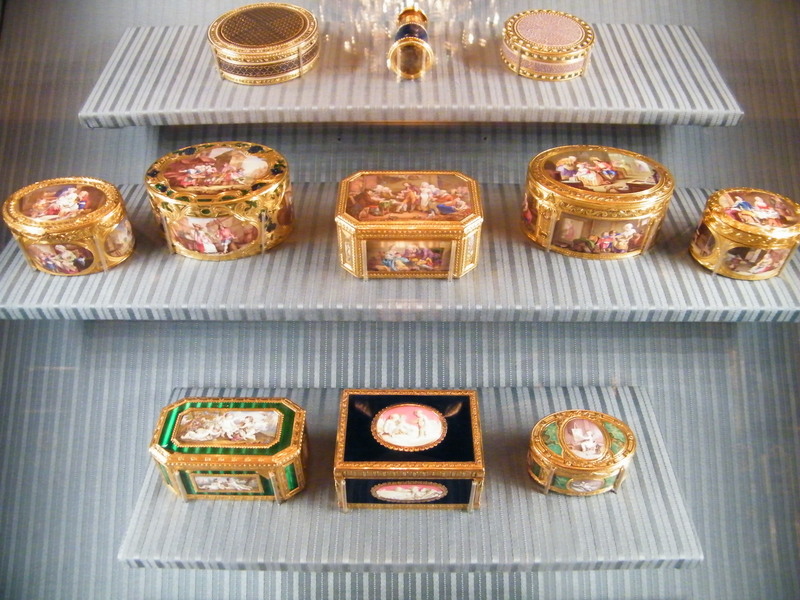 The Curious Will of Mrs Margaret Thompson (1777) – The Joy of Snuff! “Scotch snuff is the grand cordial of human nature”. Recently, a member of my family passed on to me a copy of Chalfont St Peter Parish Magazine (February, 2015) which included a reproduction of one of the most interesting and amusing examples of an eighteenth Will that I have ever come across. 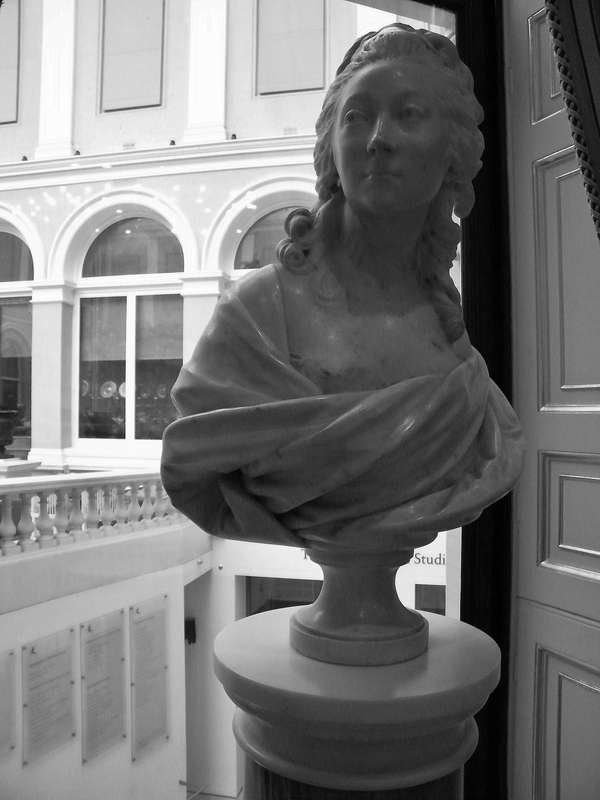 The Will belonged to Mrs Margaret Thompson who died on 2nd April, 1777, at her house in Boyle Street, Burlington Gardens, Mayfair, London. The Will was discovered in one of the old registers at St. James’s Church, Piccadilly. However, there is no record of the burial of Mrs Thompson in the Burial Register of St. James’s, for April, 1777. 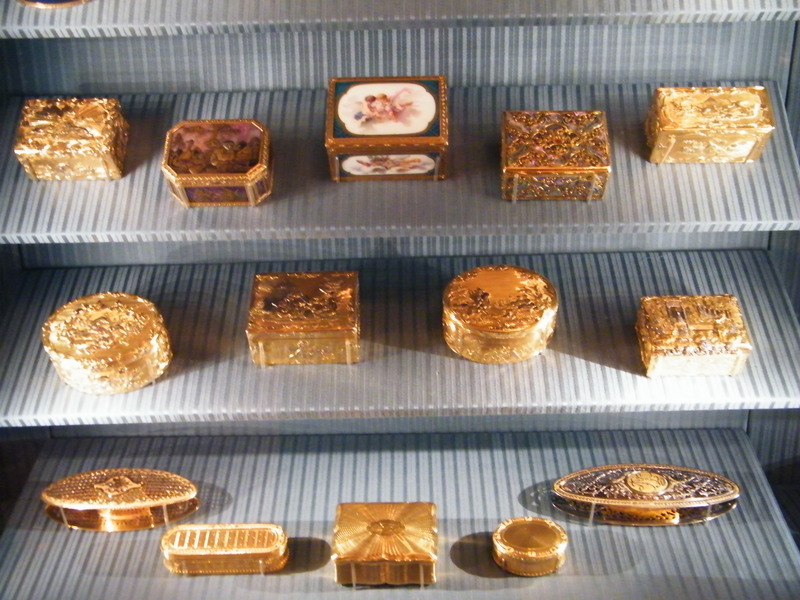 Upon arrival at the Wallace Collection last Friday, I made straight for their superb collection of eighteenth century snuff boxes. 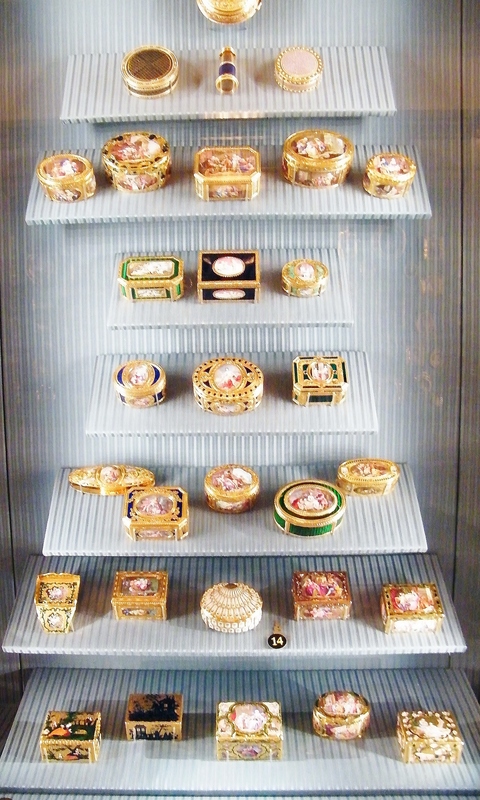 Mrs Thompson was clearly a lady who adored to indulge in the then fashionable trend of snuff-taking! I Margaret Thompson, etc, being of a sound mind, etc, do desire that when my soul is departed from this wicked world, my body and effects may be disposed of in the manner following, etc. Six men to be my bearers, who are well known to be great snuff-takers in the Parish of St James’s, Westminster; and instead of mourning, each to wear a snuff-coloured beaver, which I desire to be brought for that purpose, and given to them; Six Maidens of my old acquaintance to bear my pall, each to wear a proper hood, and to carry a box filled with the best Scotch snuff, to take for their refreshment as they go along. Before my corpse I desire that the minister may be invited to walk, and to take a certain quantity of snuff, not exceeding one pound, to whom also I bequeath five guineas on condition of his doing so. And I also desire my old and faithful servant, Sarah Stewart, to walk before the corpse to distribute every twenty yards a large handful of Scott snuff on the ground, and to the crowd who possibly may follow me to the burial place – on condition I bequeath her Twenty Pounds. And I also desire that at least two bushels of the said snuff may be distributed at the door of my house in Boyle Street. I desire, also, that my funeral shall be at twelve o’clock at noon. And in addition to the various legacies I have left my friends in a former will, I desire that to each person there shall be given a pound of the best Scotch snuff, as it is the grand cordial of human nature. In the eighteenth century, snuff was a tobacco product favoured by the upper classes, snorted directly from the back of the hand into the nostrils. Smoking pipes containing tobacco was associated with the lower and working classes. 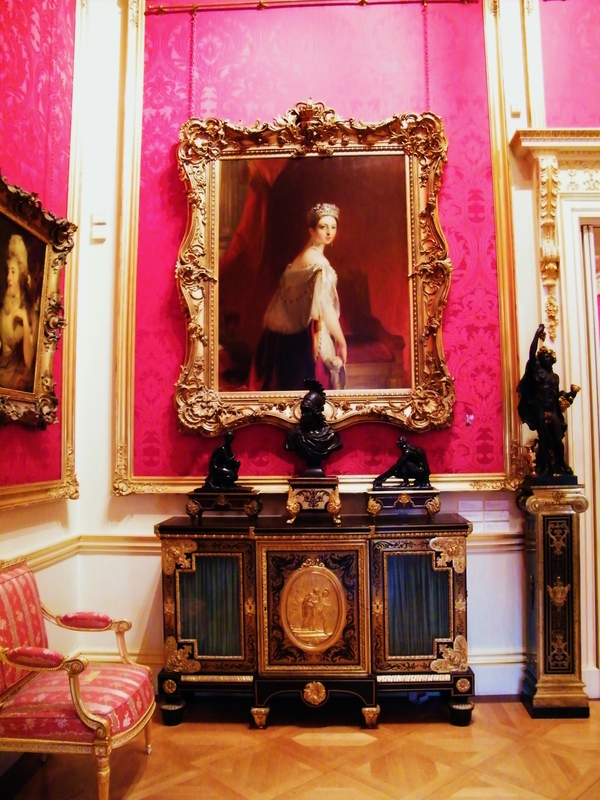 Queen Charlotte (1744-1818) earned the nickname ‘Snuffy Charlotte’ on account of her love of the brown stuff. 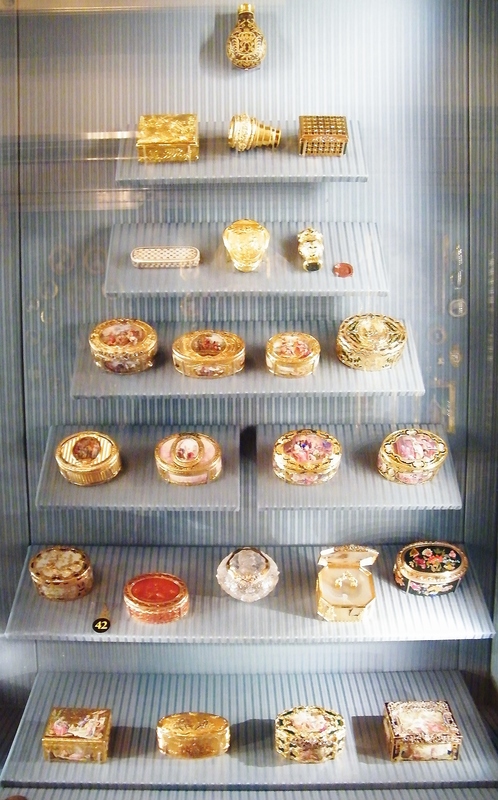 She had an entire room at Windsor Castle devoted to her substantial stock of snuff. January 16th, 1796: Steevens speaking of Sir Joshua Reynolds’ habit of taking snuff in great quantities, said, he not only carried a double box, with two sorts of snuff in it, but regaled himself out of every box that appeared at the table where he sat; and did his neighbour happen to have one, he absolutely fed upon him. When I expected to meet Sir Joshua in company added he always carried an additional allowance.